Sometimes a historic moment arrives like an IMAX movie: a big, loud, jarring event that bends the arc of history. Other times, though, it sneaks up on people. It seems modest at the time, but only later do Americans realize it marked a turning point — that something new had burst onto the national stage and the old rules no longer applied. 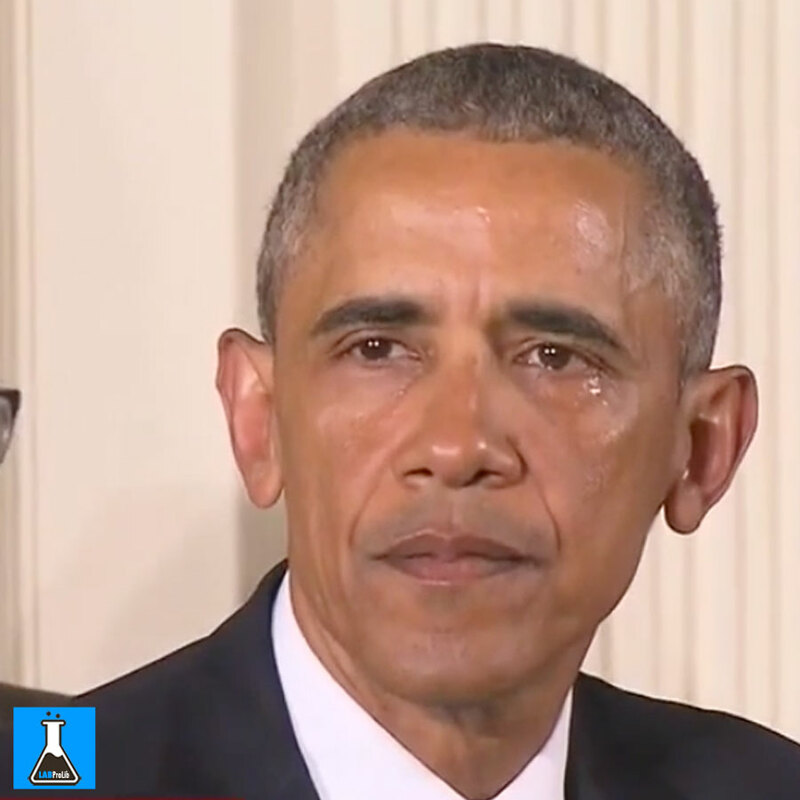 Did President Barack Obama have such a moment this week when he wept openly about children killed by gun violence? Some say yes, and that Obama’s tears were more radical than people realize. Most people know the backdrop: While announcing executive orders Tuesday to strengthen gun control laws, Obama halted as the cameras clicked. He tried to regain his composure, but then the tears flowed as he talked about 20 schoolchildren murdered by a gunman at Sandy Hook Elementary School in 2012. Some commentators later said the moment was remarkable because Obama is known for his apparent Spock-like emotional detachment. But the moment was more than remarkable; it was revolutionary, several historians and political scientists say. Obama didn’t just get weepy, Podair and others say. He introduced something new to American public life on three levels: spiritual, political and presidential. Remember the Hollywood movie “Air Force One”? In the 1997 film, a group of Russian terrorists hijack the President’s plane while he’s aboard. But they messed with the wrong President. The commander-in-chief, played by Harrison Ford, takes back control of Air Force One, trading punches and getting into gunbattles with the terrorists. President George W. Bush displayed the “git ‘er done” attitude on an aircraft carrier in 2003, where he declared “Mission Accomplished” in Iraq. But Obama was inspired by a new script when he wept openly before a White House audience, says Meg Mott, a political science professor at Marlboro College in Vermont. Obama is the first U.S. president to come out of the African-American tradition, where pastors and congregations are encouraged to be publicly open about their pain, and even failures, Mott says. She noted the political context of Obama’s tears: He was admitting that he couldn’t get gun control legislation passed even after Sandy Hook because the issue had become so polarized. That’s not what American political leaders have traditionally done, she says. Most of them have long been defined by white Protestant sensibilities: Pain is best kept private; a little sniffle here and there and maybe a welling up in public, but that’s it. “Most of our white Protestant leaders have made it a point of pride to keep their feelings buttoned up,” Mott says. Obama is different. He comes out of the black church tradition, where leaders don’t hide how they feel. His appreciation for the black church and its most famous leaders is well known. He keeps a bust of the Rev. Martin Luther King Jr. in the Oval Office. He invoked King’s phrase, “the fierce urgency of now,” in his White House gun control speech. And, like a black preacher feeling the moment, he departed from his text to improvise during that speech. President Obama keeps a bust of the Rev. Martin Luther King Jr. in the Oval Office. During worship services in black churches, it’s not uncommon to hear people publicly “testify” about their hardships or cry out for help. There’s a moral authority in powerlessness — being able to forgive, show mercy and “keep on keeping on” though the situation seems hopeless. Obama “has experienced that power, the power of powerlessness,” Mott says. Perhaps the only national political leader to approach Obama’s moment of naked vulnerability was a politician who knew something about suffering. His name was Robert Kennedy. Kennedy’s moment came in Indianapolis in 1968. He was running for president and had stopped in a black community to speak when he learned that King had been assassinated. Fearing a riot, he stepped onto the back of a flatbed truck and broke the news to the shocked crowd. There was no riot in Indianapolis that night. Two months later, Bobby Kennedy was assassinated. Presidents aren’t just political leaders. They’re paternal figures. George Washington was called “the father” of our nation. Lincoln was known as “Father Abraham.” These intimate designations speak to the close bond many Americans have traditionally forged with their presidents. Obama, though, has long struggled to be accepted as “one of us” because he is so different from his Oval Office predecessors. Some critics have tried to turn his uniqueness into a political liability. The accusations — of being a socialist, of not hailing from “real America,” the birther conspiracies — all convey a suspicion that Obama is an interloper in the White House. King’s eyes appeared to tear up during his “mountaintop” speech the night before he was assassinated. That claim, though, won’t carry the same sting in the wake of Obama’s tears over the death of American schoolchildren, says Podair, the Lawrence University historian. Here was a black man weeping over the murder of white children. Though Obama also invoked black children struck down by violence in Chicago in his speech, Podair noted that the moment the President broke down is when he cited the shootings of children at a predominantly white elementary school. At that moment, Podair says, Obama stopped being the Oval Office interloper with the funny name. The moment is also major because of how America has traditionally viewed black men, Podair says. They have long been viewed as “The Other” — the Great Criminal Menace, the Great Athlete, the Great Entertainer. But Obama was just a man and a father when he cried, Podair says. Any ordinary person could relate to what he was feeling. And for a black man to be ordinary in America is, well, extraordinary, Podair says. It was one of George Washington’s greatest moments. And it took place away from the battlefield. American troops were on the verge of mutiny in the waning days of the Revolutionary War. They were angry because Congress had failed to deliver back pay and pensions. About 500 officers organized a meeting to discuss whether troops should seize control of the new government. George Washington disarmed a mutiny with a display of emotional vulnerability. Washington heard of the meeting, showed up and asked for permission to speak. He told the troops they had legitimate claims and that Congress would eventually honor its promises. Then he did something unexpected. He opened a letter to read but hesitated. No one knew what was wrong until Washington pulled out a pair of spectacles that many officers never knew he owned. The officers were disarmed. Some openly wept. Their anger turned to shame. Mutiny over. Washington’s appearance lasted about 15 minutes, but it saved American democracy. He demonstrated that a president could survive by showing emotional vulnerability, if he did it the right way, says William G. Howell, a presidential historian and political science professor at the University of Chicago. Historically, politicians feared expressing too much emotion like athletes feared knee injuries: They could end their careers. The late Sen. Edmund Muskie’s presidential campaign was doomed in 1972 when he allegedly cried while publicly defending his wife from a newspaper attack during a New Hampshire campaign stop. And former Democratic candidate Howard Dean’s Oval Office ambitions were doomed by his infamous “scream” during a raucous campaign event. Obama, however, showed that a politician could both publicly cry and show strength at the same time, Howell says. Amid his tears, Howell says the President made a subtle argument. He said that just as the Constitution gave Americans the right to bear arms, it also gave them the right to peaceful assembly, life, liberty and the pursuit of happiness — rights that were robbed from victims of gun violence. How the President acts has an impact beyond politics, says Podair, the Lawrence University historian. Theodore Roosevelt set the tone for men around the turn of the last century with his emphasis on the outdoors. He says American men often get their cues on masculinity from presidents. Theodore Roosevelt’s “strenuous life” — his emphasis on hunting, adventure, being “in the arena” — inspired American men who feared they were going soft as more of them moved to cities at the turn of the last century. John Kennedy inspired an entire generation of men to stop wearing hats in public, and his wry, detached demeanor shaped masculine culture in the early 1960s, Podair says. Obama did the same for politicians and men when he wept this week, Podair says. Obama’s tears may fade from the news cycle. But he’s already suggested the moment won’t fade from his memory. During a town hall meeting on guns hosted by CNN, he said he was surprised by his tears. He also said he will continue to push for more gun control, regardless of the political costs. Tuesday may turn out to be one of the more unforgettable days of his presidency. A president showing he’s not an all-powerful action hero, a black man weeping over white children, a politician changing the rules about public tears — perhaps something new did take place this week. Obama’s critics have long said he is a radical, someone new to America, someone who is different from his Oval Office predecessors. At least this week, they were right.